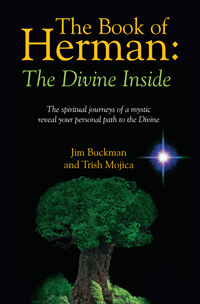 The spiritual journeys of a mystic reveal your personal path to the Divine. Everyone asks the big questions. Does anyone really know the answers? Let's have a look at some of the common big questions we often ask ourselves. I help you discover the answer to this question by showing you how to take a close look at who we are not. By a simple process of elimination, you will see for yourself who you truly are. When you discover the answer to this one simple question, everything else will begin to fall into place and you will likely gain a completely different perspective on all life and the part you play in it. Q: Who is God and does "He" really exist? I begin by explaining God is not a "he" or a "she" but is an omnipresent, omnipotent non-physical being that cannot be readily explained in any human language. I refer to this being as The Divine because "God" evokes far too many false pre-conceived notions and ideas. I will show you how you can discover and know who The Divine really is for yourself. Of course, I'll share with you what I found out about this being too. Q: What happens to me when I die? Is there an afterlife and if so, what's it like? Will I survive physical death? These questions have been asked for at least 25,000 years. Questions surrounding death and a possible afterlife eventually formed the basis for many of Earth's religious practices. There are many reports about near death experiences that give very incomplete clues to this answer. There are hundreds of beliefs surrounding answers to these important questions. We found the answers to these questions and also show you how to discover your own answers. What we discovered will amaze some, shock others and not be surprising at all to some mystics, sages and spiritual teachers. Most will find our discoveries are beautiful and provide real hope for all humanity. Q: Why do so may people seem to hate each other and want to kill one another? Philosophers and thinkers have wrestled with this question for a very long time. The answer to why some of us want to hate and kill one another is stated in the clearest, easiest to understand terms ever presented. The Truth surrounding this answer will amaze some, bring tears to the faces of others and may even anger a few. Q: Why is there so much suffering in the world? All human suffering (some say this also includes physical pain) is all rooted in one simple innocent mistake most of us make because we have not been taught otherwise. We reveal this simple truth and explain in clear, concise terms, the permanent way out of suffering. Q: I ask for Divine guidance but never seem to get answers. Why? This is a very common problem that has a real solution. The answer as to why many of us do not receive answers will probably surprise you. Don't worry, I would never leave anyone hanging! The fix is easy but will take some work on your part. Some people believe God can only be found in the church or in 'heaven'. While these beliefs point to a portion of the truth, I present a more complete truth and show you how to discover this for yourself. Q: Does my book contain the absolute truth? This book contains the truth as I have discovered it. It very closely matches the truth as several others I have talked to have independently discovered for themselves. The answers to these and many other spiritual and cosmological questions are presented in my book but I don't expect anyone to simply take my word for it. With that in mind, I also show you how to find and experience your own truth using easy to learn techniques that are time-tested and safe. Buy the book when it becomes available and see for yourself. I doubt you'll be disappointed. Q: Is the world coming to an end? Not in the way some people think. Let me put it this way - do not discard your 2013 calendar just yet. Buy and read the book for the complete answer. Q: Is your book based on any religious ideas? No, it is not. Every religion has occasional, often well hidden nuggets of truth to be found within their texts however no religion encompasses the entire truth. While I have endeavored to keep my writings as original as possible, I found it useful from time to time to refer to things that were said long ago by other enlightened spiritual masters. I do this not to show that any particular religion is "right" or "wrong", but to show that some of what I am saying has been said before by those who are better known than me. Q: Some of what you have written about in our book has a certain ring of truth to it but I have never seen these things written about anywhere else. Where does your unique information come from? There are several quotes in my book that have come straight from The Divine itself and I present those quotes untouched and unedited. I was given the gift some time ago of direct two-way communication with The Divine. I have put in writing what few have dared to do in the past lest they be put to their deaths. I apologize ahead of time but I do not have the authority to edit or censor guidance and information received from The Divine. One of the things I teach in my book is how to ask for and receive true Divine guidance for yourself. I also teach how to make sure what you are receiving is true Divine guidance. Read the book and find out just how easy this is. Q: Did you leave anything out that should have been included in your book? I promised The Divine I would not edit or censor it's words. There are those who wanted to censor what I have written and I denied them that pleasure because it would have broken the personal covenant I have with The Divine. The only time something was left out was when I wasn't 100% sure of the source of the information. Some of that has since been verified and may appear in Volume Two. Q: Does your book tell me how I should lead my life? Absolutely not. I do make suggestions as to what might be better choices to make in life but what you do with your life is always and ultimately your choice. Part of my objective is to empower the reader to make wiser, healthier choices that will eventually result in finding true happiness. Part of that empowerment is to show you how to ask for and receive true Divine guidance. Q: Is your book yet another "be here now" book? That seems to be a popular message coming from many of today's spiritual teachers. Being in the now is an important step on the path toward healthier, happier living and enlightenment. However it is only one of many steps to be taken on that path. Ask yourself what it is you really want in life. Most people actually do not know what they want in life. "Being here now" is but one of many steps. Q: Is your book another "embracing change" books? This is another popular message embraced by some of today's spiritual teachers. It is also an important step of many to be taken on the path toward healthier, happier, more responsible living and toward enlightenment. "Embracing change", part of another idea known as "acceptance of what is", is only one of many steps to be taken toward spiritual awakening, enlightenment and a peaceful life. Q: What are we all really seeking in life then? Please purchase the book and discover the answer for yourself. The answer is not only within the book, but is also within you. A raindrop, falling from the sky, was once the cloud. The raindrop, now on its way to the ocean, wonders to itself, "What will I become when I reach the ocean? Will I still be a raindrop?" The raindrop continued to fall toward the ocean with much fear and trepidation until the moment it contacted the ocean and became one with the ocean. The raindrop, no longer a raindrop, did not worry about what it used to be but simply experienced the joy and peace of finally becoming one with the ocean. If you would like to be notified of new book releases, appearances and so on, please be sure to sign up for my newsletter. This does not obligate you to buy the book but we'd really appreciate it when the time comes. My updates are infrequent and your email address will only be shared with my publisher. Please use my signup form to subscribe. (c) 2012 Jim Buckman. Design by Free CSS Templates.